Given that their are probably an infinite number of types of formulas that can generate fractal patterns, theoretically… any image can be generated by a fairly simple set of instructions. In the last few years the explosion of amazing images generated using formulas that generate 3D fractals makes this one step more acheivable. Imagine if a picture of your house or your girlfriend could be deconstructed into a simple formula – what would that say about reality ? 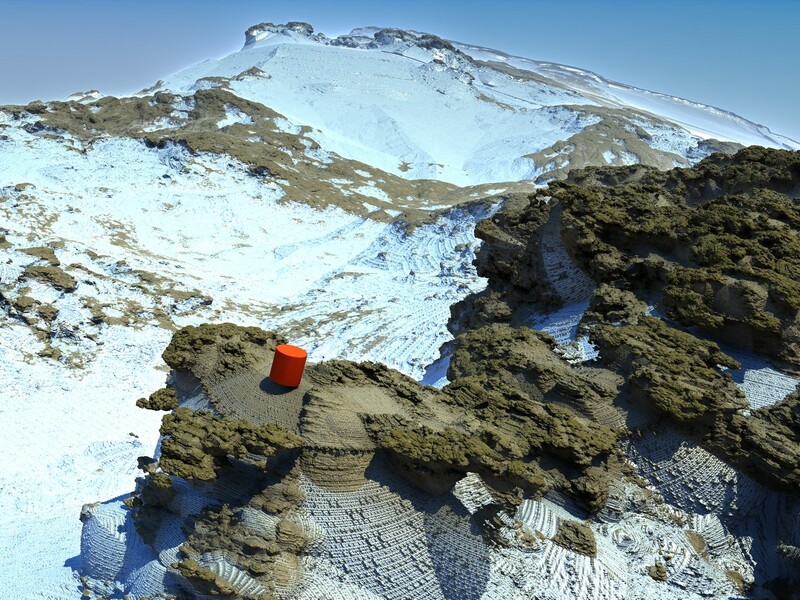 The image above is a 3D fractal that looks remarkably like a real mountain (perhaps on another planet though). So… whatever it would say about reality, one thing for sure, it would be the holy grail of information compression technology. I find it a fascinating field of research pushing the limits of how much information can be squeezed into how little information. The way to achieve this magic is that the smaller information includes instructions for how to ‘unpack’ it using repetitive procedures. In a sense a blueprint could be said to acheive this as it contains the plans for a house in a small sheet of paper. And of course some people believe that the DNA is a a blueprint for the construction of a human being.